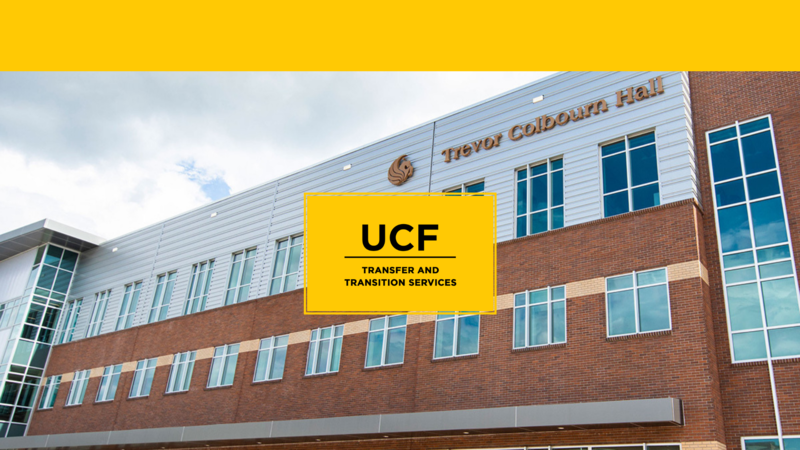 Transfer and Transition Services helps transfer students make a seamless transition for a more successful UCF experience. We provide pre-admission and transition advising to students to promote their successful transfer. Additionally, we provide connections to the campus community through a strong Peer Advisor program. Our office will assist you through the admissions process. To find application fees, deadlines, admission criteria, and other information about the admission process, please visit UCF Admissions. The Transfer and Transition Services advisors and peer advisors provide personalized advising for pre-admission planning, general education program information, help choosing a major, and assistance with many other topics. We are here to help you through any problems you may encounter on your path to success at UCF! Find information to help you choose a UCF major, explore the connection between majors and careers, locate scholarships, and navigate UCF requirements.